Japanese Americans for the war. on Japanese Americans in 1943, he volunteered for the all-Nisei 442nd Regimental Combat team. advance his company to safety in a battle near San Terenzo, Italy. 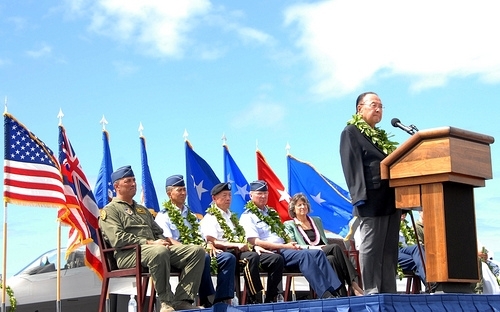 President Bill Clinton awarded Inouye with the Congressional Medal of Honor. Senate, replacing fellow Democrat Oren E. Long. Republicans to prevent the vote on a measure. state, it was a tool used to ensure we were not pushed aside,” he said. he said in an interview with Maui News earlier this year. established order on behalf of the marginalized. Act, which changed the minimum voting age to 18.
the Democratic nomination for president. always looking toward the future. surpassed comprehension, and his accomplishments now belong to the ages. 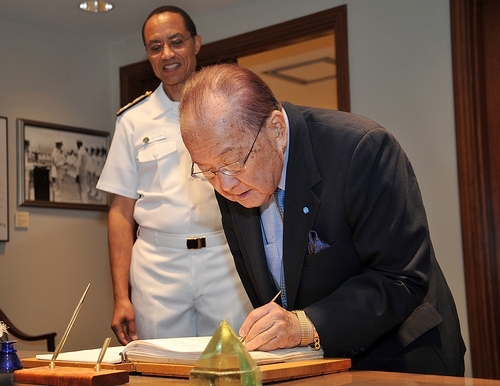 great Senator Inouye, you are Hawaii’s own true son. Ivan V. Natividad is a former features reporter at Roll Call News in D.C. and has contributed as a freelance writer to outlets like AsianWeek, The Nation and Wiretap Magazine. He is currently a reporter with the Hyphen politics team and is also doing work with the San Francisco Bay Guardian as a summer news intern. Natividad is completing his masters degree in journalism at Georgetown University.